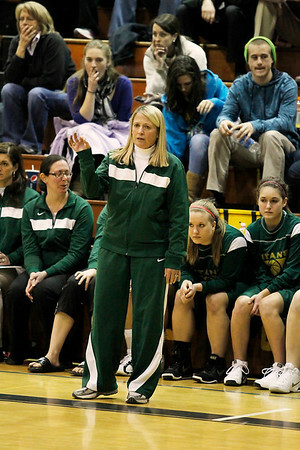 Traverse City West coach Patti Tibaldi directs earned her 700th career victory Saturday. The Titans beat Mt. Pleasant, 46-36.